Asian Games Gold Medalist Sarita Gayakwad will be the chief guest in CBSE West Zone Cluster XII and XIII Athletics meet in Vadodara. About 1500 players from Madhya Pradesh and Gujarat will take part in the meet organised by Gujarat Public School run by BRG group. Sarita Gayakwad will share her journey from a small village in Dang to the gold medal in 2018 Asian games. The aim is to inspire the students towards athletics and make them understand that they can also shine at the international level with their sheer determination and hard work. 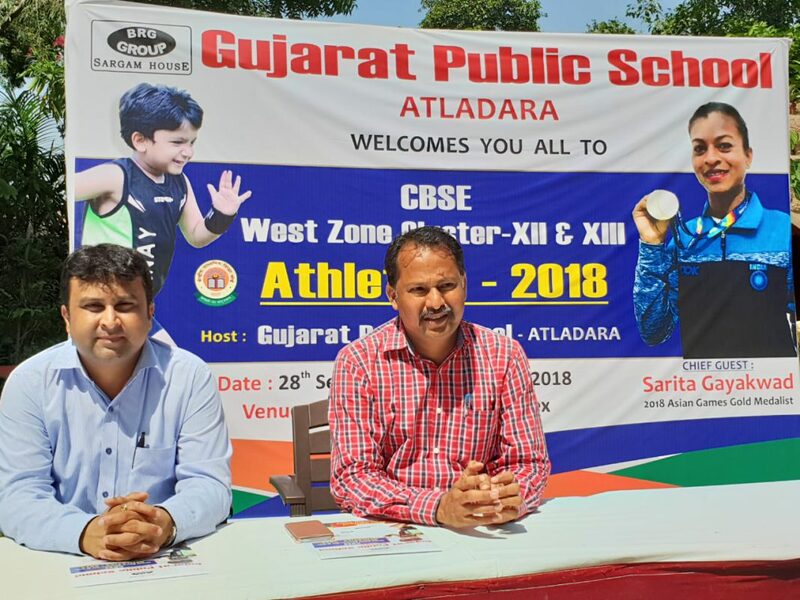 Sarita will take part in the rally before the games starting from GPS school and reach Manjalpur stadium at the opening ceremony of the games. She will be felicitated there at the venue for her contribution to the sports and won gold medal at Asian Games and put Gujarat on the international map. The athletes will take part in about 64 games and the winners will head on to take part in the CBSE national at Karnataka.